it's been some time and i was feeling like treating myself to a new brush for my birthday. i was browsing simpson's site and i just come to realize there is something called mancurian badger.. emm, what is it? From what I can tell is its marketing as different manufactures appear to have different classification of what is Manchurian. From my experience with Simpsons Manchurian is that it is a 2 band with a thicker bristle than thier 3 band Super (silvertip) and 2 band Silvertip. The thicker bristles mean that the knot doesn't have to be as densely packed to give the same amount of backbone and therefore has better flow through. To me it sits in the middle of Best and Super badger in terms of softness, slightly scubby but not scritchy. It has a great face feel and lathers both soaps and creams admirably, but so do the other grades of badger. Is it worth the price tag? Only you can decide. Speedster and BobH like this. It's supposed to be a replacement for the vintage two banders which haven't been available for years now. It is the closest thing to them that exists but it's really still different. It a combo of soft but with substantial backbone. To me it's the best badger you can get at present and worth the premium. rolodave and Gasman like this. I have one from Elite. It is dence and soft tipped. Great backbone but the flow-thru isnt so good. It lathers well but locks the lather in the brush. In turn it eats a lot of soap. It is a great brush but uses a lot of soap. 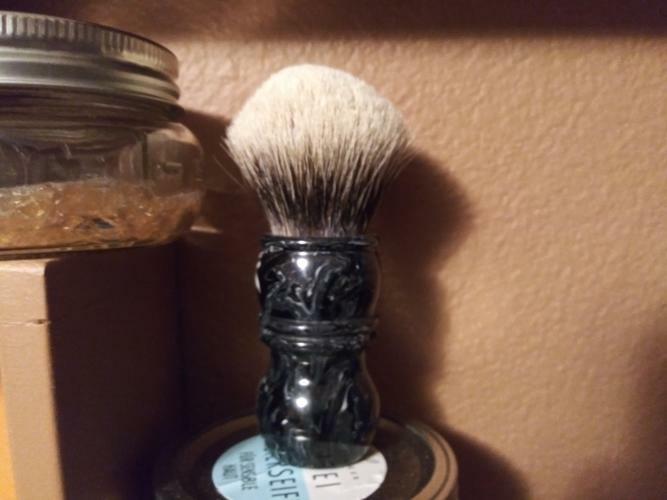 I used Simpsons best badger for 7.5 years, yes only one brush in my den till last spring Once I tried Manchurian badger I was impressed. So impressed that when Black Friday sales came I picked a second one. Only thing I can add to the above posts. Don't wait and get one!!!! I have a 28 mm also from Elite. I set the knot in a nice black walnut burl. Yes to backbone and thicker bristles than premium silver tip. Most impressive are the super gel tips when wet. I know what ya mean on the gell tips. I looked closely at them and they all look curled a bit. Im guessing, but i think its from soaking to long in something when they are made. Like the tips got thinner and weaker. No mater what it is, sure makes for a soft brush with backbone. I have one and it is a very nice 2 band badger as far as I'm concerned. I have not found a really conclusive definition of what a Manchurian badger knot is either. I'd consider buying another only if I could get it at a substantial discount which you sometimes can get direct from Simpsons. Here is a picture of mine. You cant see the tips but its a nice feeling brush for sure. Id say buy one and give it a try. You never know if you like a brush until you buy it.